Lightly spotted red, produces 4-6 flowers per stem. 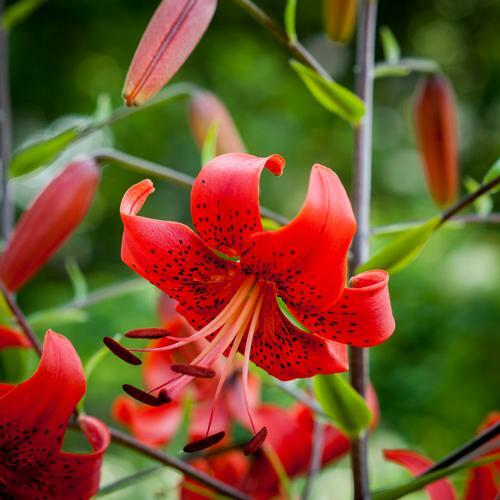 Tiger lilies are very tall growing and bloom very late. Downward facing flowers are often heavily spotted and have recurved petals. Excellent lily for perennializing.